Vista is a 45 million dollar high-end luxury residential development featuring large single-family estate homes. Developers, R. Knick Myers and brother, Noah L. Myers set out to create a subdivision that emphasized natural beauty and high quality construction, all within a family oriented setting. 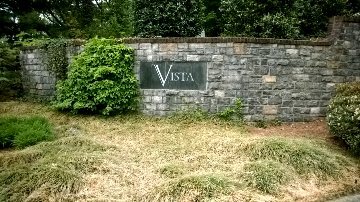 Vista is strategically located on one of the most beautiful properties in the heart of prestigious Farragut, Tennessee. Vista features a spring-fed lake, extensive sidewalks and walking trails, breathtaking views, and a mature orchard. The property sits on a private ridge directly south of Willow Creek Golf Course and is one of the highest points within the town of Farragut. Looking for Vista homes for sale? Search our local listings database for access to listings in Vista and surrounding areas. Whether you want to buy or sell Vista, Tennessee real estate, you can browse through properties or find a wide variety of real estate resources available on this website. If you are looking for a Vista REALTOR®, choose Billy Houston Group! As your Vista real estate agent, Billy Houston Group can assist you with all of your home buying and selling needs. We can provide you with access to the local listings database and offer our experience and knowledge to make the home buying or selling process easier for you and your family. Contact Billy Houston Group today to get your home search started!